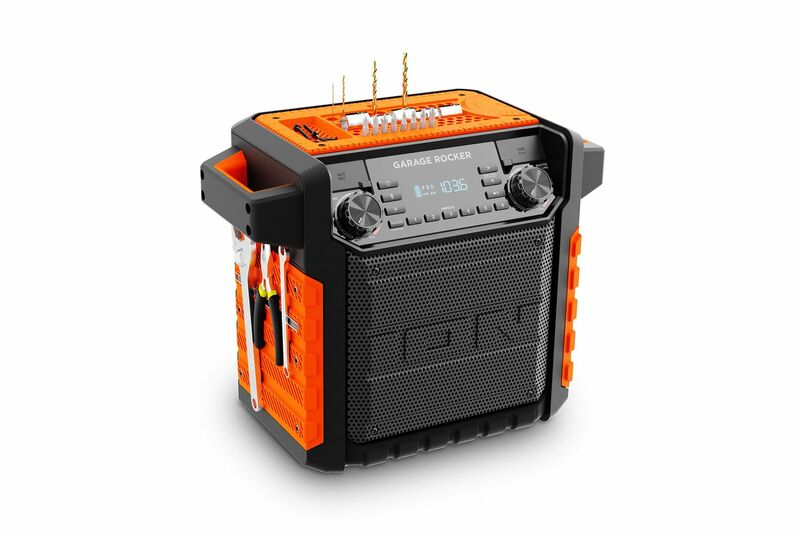 ION Audio has just announced Garage Rocker, a jobsite speaker that is wireless, water-resistant, a magnetic tool holder, and yes, a place to hold your drill bits upright. Jobsite speakers are a niche category (kind of like party/karaoke speakers) that are meant to withstand environments where there is loud noise from tools being used and exposure to liquids and dust. Many of them come with similar features, like a rugged housing, compartments for storing tools, and a sizable Bluetooth range. They’re great not just for construction sites, but also for home use in the garage or backyard.